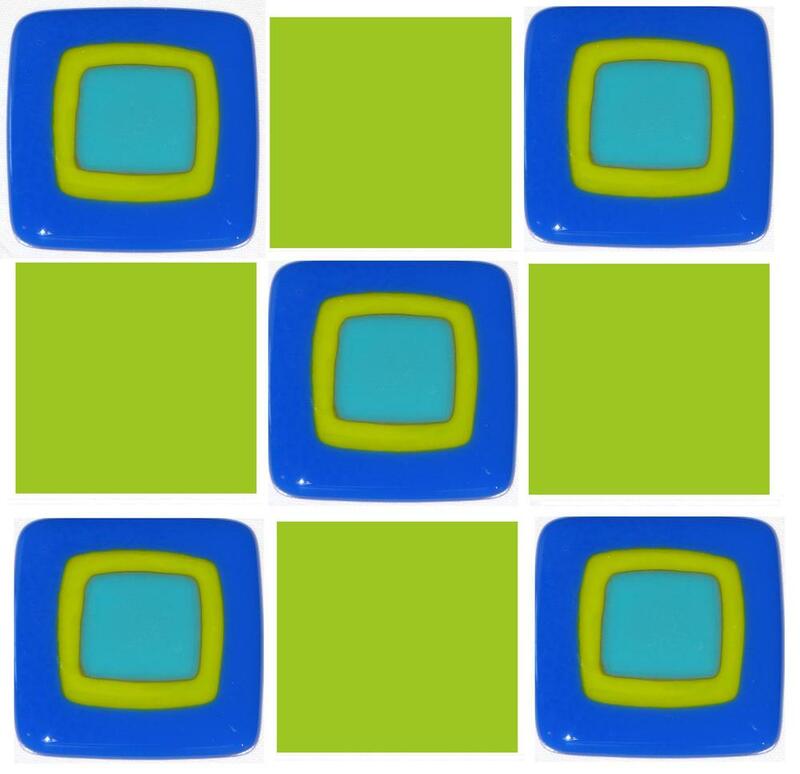 Cool and calming like a day at the seaside, or bright and vibrant like a hike through the mountains, these Craftsman fused glass tiles feature beautiful color combinations with clean lines. Mix and match with solid colored tiles in glass, porcelain, or clay to create a statement. Each of these tiles is handcrafted by the Omega Glass artists in our Seattle studio. As shown, 3" x 3"; available in just about any size.